Congrats to Joel Lohr, John Byron, Wayne Coppins, and my Doctor Fathers: John Barclay and Jimmy Dunn. 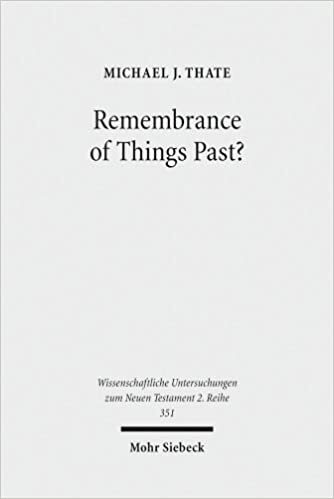 The Journal of Theological Studies has published my review of Michael Thate's Remembrance of Things Past? Albert Schweitzer, the Anxiety of Influence, and the Untidy Jesus of Markan Memory. Thate offers yet another voice in the current discussion of Jesus and the gospels that turns to memory studies in order to gain an entrance into the complicated questions of tradition and history. 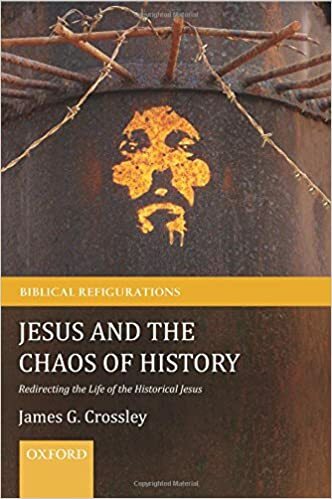 Anyone looking to get into this current discussion will find Thate a valuable and insightful voice among those who, during the last decade, have brought the concept(s) of memory to bear upon the Jesus tradition and the question of Jesus as a historical figure. Anyone already engaged in that discussion will likely find Thate's engagement with the current state of Jesus scholarship somewhat lacking. Due to a variety of reasons, especially the fact that Baby Keith #3 is due basically any day now, I'm not in Atlanta for the Bible Nerd Fest known as the annual meeting of the Society of Biblical Literature. I miss it and am jealous of those who are there. But I'm not jealous of anyone more than my St Mary's colleague, James Crossley. Yes, that's right folks. There's James in Atlanta with none other than the Nature Boy on the right. WHOOO! 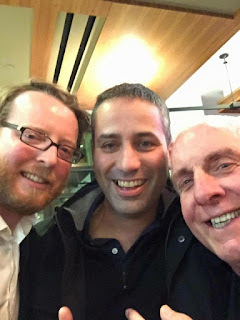 Don't know who the Nature Boy is? I'm saddened to hear that, but try here. I will not be attending AAR/SBL this year. I do not often miss and I will not miss often. But this year I will miss seeing many of your glowing countenances. Here is something that I will not miss: there is a small part of me that hates the way I feel after my ego has merged with the larger Egofest. The collective life and energy of the professional conference is a strange fire. At one moment you are laughing at how very bizarre it all seems and the next moment you are stoking it with your quirks, peccadilloes, and insecurities. I will confess that I like the fight. I like the conceptual wrestling match. Writing papers, chapters, books, etc. is like choosing a suitable sparring partner. The concept or the topic becomes a partner you train with and a peculiar intimacy is formed between you and the idea. It is then only matter of time before your intimacy with a topic makes you want to defend it. Things get territorial. And this is the part I hate. I don't hate your ego; I hate mine. This post was bound to get preachy. Sorry. Believe me when I say that I haven't figured this out. I only know that I enjoy the company of scholars more when I consciously choose not to feed my ego. The night of the fight, you may feel a slight sting. That's pride [EMPTY]ing with you. [EMPTY] pride! Pride only hurts. It never helps. You fight through that skubalon. St. Wallace was not a paragon of virtue. Few Medieval saints were. He did however get one thing right. There is a slight sting. 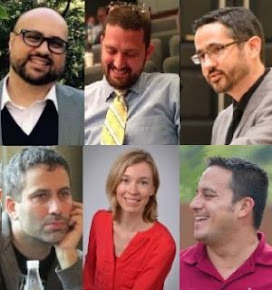 If you're there at the conference, you've probably been trained in the world of ideas. It can feel natural to slip into a conversation out of pure interest. You just want a little iron to sharpen your own iron. But how often do you walk away wondering why you said what you said the way that you said it? At some point the conversation shifted from conceptual exchange to territorial dispute. Some folks, it seems, have no problem with it. They believe in the ideas and can separate their egos from the conversation. Other folks, like me, must learn to recognize the slight sting. I have come to believe that the greatest favor that I can do for myself at these professional conferences is to remain self-aware and self-reflective. It is not alway possible to self-empty. Self-emptying is something close to a miracle. Perhaps not an "according to Hoyle" miracle. It is, although, almost impossible to do if you do not learn to notice the slight sting. (1) To publish a Jesus book with Eerdmans. (2) To have the cover art done by Willem Mineur (my favorite Eerdmans cover designer). I confess that I had hoped to write a post or two on the book before leaving for SBL, but I've just been too busy getting ready for the conference. (I'm presenting a paper on the future of historical Jesus research on Monday if you want to come.) The blog post will have to wait until after I get back). For now, I'll (somewhat shamelessly) leave you with what some readers have said about the book. My hope is that you'll pick up a copy, read it, and then I can get your feedback at some point in the future. Some people require an enemy to make their ideology work. 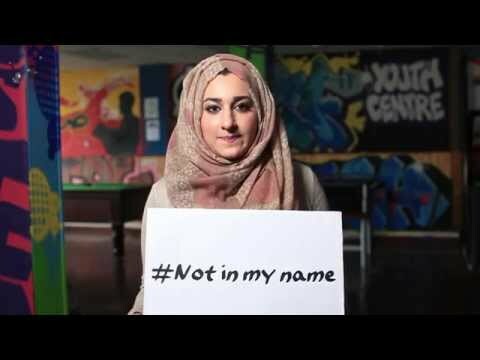 The vast majority of Muslims do not commit or support mass-murder. The task of terrorist organizations is to recruit and indoctrinate soldiers. But most Muslims are not soldiers. For these ideologues, most Muslims (those who get along with their neighbors) are a problem for their holy war narrative. So part of the purpose in committing mass-murder is to create global Islamophobia and thus alienate moderate Muslims from their western neighbors. In other words, acts of terror are designed to create enemies in the West. Hate speech by Christians is therefore an ideological victory for those who promote holy war. Groups that promote holy war need an enemy and they want Christians to see Islam and Muslims as a singular and generalized enemy. Consider this statement from a recent ISIL publication: "There is no grayzone in this crusade against the Islamic State . . . . The world has split into two encampments, one for the people of faith, the other for the people of disbelief, all in preparation for the final great war." This is, of course, a lie. But acts of hate speech by Christians against Muslims contribute to this false narrative. I would challenge you to ask yourself a question before you post something that promotes Islamophobia on social media. Ask yourself: do I need an enemy? I hope that your answer is always no. But if you must have an enemy, consider this: "You have heard that it was said, ‘You shall love your neighbor and hate your enemy.’ But I say to you, Love your enemies and pray for those who persecute you." The information age is fun. Something Mark Goodacre blogged about in 2013 is now "dated" in 2015. And it was probably old news two days after he wrote it. But because we can't read everything (there are things like this that require our attention) there is always something new to discover in ancient NTBlog archives. Today I read about what Robert K. Merton called the "Matthew Effect." For example, a saying from John Fugelsang gets attached to the name Jimmy Carter (presumably because Carter is more famous). The effect demonstrates that "those who have, more will be given, and they will have an abundance; but from those who have nothing, even what they have will be taken away" (Matt 13:12). The short article by Merton is worth a read. . . . if for no other reason than this: you should probably be doing something else and it will feel a little naughty to read an academic piece from 1968. See especially his section on the social-scientific pressures at work. I believe that this effect is relatable to a kind of memory distortion that I've called "mnemonic cross-pollination." If you are familiar with gezera shava, this will be old hat for you. But St. Francis couldn't have said it centuries after he lived (when this prayer was composed). The legacy of St. Francis was such that certain "memes" continued to attach themselves to it long after he was dead. I talk more about this prayer in my book Historical Jesus: What can we know and How can we know it. New Testament scholars have long wondered if some of John the Baptist's sayings might have come from Jesus or vice versa. In this case, the problem is even more pronounced because Jesus and John may have influenced each other. Another like example: if I listed all of the most memorable sayings of Jon Stewart and Stephen Colbert, would their fans be able to disentangle their legacies? So now, let's have fun. Who can come up with the best Mark Goodacre saying that he didn't say? Remember, it must fit plausibly within the Goodacre legacy. 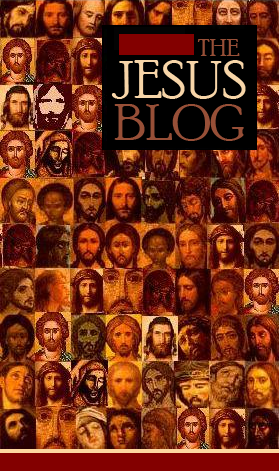 Happy Diwali from the Jesus Blog. May your lives be filled with wisdom and light! New saying of Jesus discovered! Political parties in Germany traditionally have an ambivalent relationship towards religion in general and the Christian tradition and Christian Churches in particular. Conservative, “bourgeois” parties bear the word “Christian” in their names (like the Christian Social Union, CSU), whereas the left spectrum usually shows reservation. But the current refugee crisis seems to turn matters on their head, in a way. Jesus is rediscovered as a refugee (an allusion to Matthew 2:13). Taking a step back and a looking at the phenomenon from a point of view that is informed by historical Jesus research, the apparent distinction between “the real Jesus” and later distorted interpretation is interesting. In a rather enlightened manner and for polemical reasons, the German Green party uses Jesus to unmask the hypocrisy of the “Christian” parties and their asylum policy. They even invent a new saying of Jesus that pretends to reveal his political orientation.